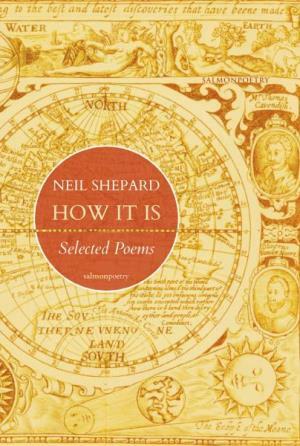 Reading Neil Shepard’s How It Is: Selected Poems (Salmon Poetry 2018) is akin to a meditative walk through the lush inner terrain of a man who sees and senses all too much. Vivid, evocative, and varied, the individual poems cross time lines and geographic divides to form a compelling whole. The aggregate impact shows Shepard is not only well traveled, but also fascinated by just about everything—as a great poet should be. The poems in How It Is include works previously published in books ranging from 1993’s Scavenging the Country for a Heartbeat to Shepard’s most recent 2015 Hominid Up. Given this span, How It Is offers readers a quarter of a century of Shepard’s writings to be savored. to tell where the song comes from. I’m ready to murder the flowers. While the collection offers richly textured works of homage, personal insights, and social commentary as well as a poetic travel guide, Shepard truly shines in his nature poems. A Vermonter, Shepard divides his time between New York City and his native state. Yet his lush “Atchafalaya November,” set in a Louisiana swamp, is as true and vivid as if he had been born and raised a Cajun. and drift in the pirogue. Shepard’s poems not only traverse from Atchafalaya to Corfu and beyond, but they range from when he was “twenty, ripped jeans, rucksack, cervezas and chasers” to being “of late middle age.” The daughter that was “centered in a cradle” in “Birth Announcement” is now “singing Madonna in the shower.” Thus, in this fine collection, readers are invited to join Shepard in his journey and in the maturation of his vision. Thank you, Neil Shepard for inviting us along. It’s a great, glorious trip to take.